South Africa will take on Australia in the one-off T20I on Saturday which will bring an end to their limited-overs tour down under. The three-match ODI series was a closely fought one which the visiting side won 2-1 after defeating the Aussies in the final game. Australia will hope they win this game and gain momentum before India come visiting for a full-fledged tour. The Proteas will have a major selection headache for this T20I game. They have announced the same squad for ODIs and T20Is. However, Dale Steyn won’t be available for this game as he was released to play MSL T20 starting Friday. This game will mark the return of the Carrara Oval to cricket. The venue hosted a couple of warm-up games of the visiting teams in 1991-1992 against the Queensland state side. Over the last 25 years, it was restricted to AFL, A-League soccer and Rugby League matches. The one-off T20I match between Australia and South Africa will be hosted by the Carrara Oval in Queensland. The match starts at 6:20 PM local time (8:20 AM GMT) (1:50 PM IST). Australia: L, L, L, W, L.
South Africa: W, W, L, L, W.
The Carrara Oval is hopeful about ahead of its maiden T20 game that it will turn out to be a high-scoring one. Kerry Betihavas, the pitch curator of the Gold Coast Stadium, is trying to make a pitch that could play out 200+ totals. Usually, the drop-in pitches are slow in nature and game at the Carrara Oval will be played on one such wicket. 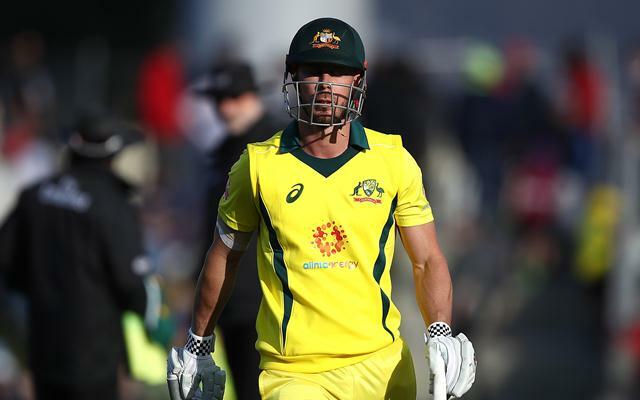 Aaron Finch (C), Alex Carey, Ashton Agar, Jason Behrendorff, Nathan Coulter-Nile, Chris Lynn, Glenn Maxwell, Ben McDermott, D’Arcy Short, Billy Stanlake, Marcus Stoinis, Andrew Tye, Adam Zampa. Faf du Plessis (C), Farhaan Behardien, Quinton de Kock, Imran Tahir, Heinrich Klaasen, Aiden Markram, David Miller, Chris Morris, Lungi Ngidi, Andile Phehlukwayo, Dwaine Pretorius, Kagiso Rabada, Tabraiz Shamsi, Dale Steyn, Reeza Hendricks. Aaron Finch (C), D’Arcy Short, Alex Carey, Chris Lynn, Ben McDermott, Glenn Maxwell, Marcus Stoinis, Billy Stanlake/Jason Behrendorff, Nathan Coulter-Nile, Andrew Tye, Adam Zampa. Faf du Plessis (C), Reeza Hendricks, Quinton de Kock, Heinrich Klaasen, Farhaan Behardien/Aiden Markram, David Miller, Chris Morris, Kagiso Rabada, Lungi Ngidi, Imran Tahir, Tabraiz Shamsi/Dwaine Pretorius. Lungi Ngidi gave a good account of his abilities in T20 cricket during the stint with Chennai Super Kings in this year’s IPL. Ben McDermott who was run out in each of his previous four innings, will be looking to score a big one in his maiden International game at home. The Queensland boys – Lynn, Stanlake and Tye have their uniqueness that works in the shortest format of the game. Alex Carey, Aaron Finch, Chris Lynn, Faf du Plessis, Heinrich Klaasen, Marcus Stoinis, Chris Morris, Lungi Ngidi, Nathan Coulter-Nile, Andrew Tye, Imran Tahir. The Australian skipper Aaron Finch scored only five runs in his last four T20I innings. In the first nine T20I innings of in 2018, he scored 464 runs at an average of 92.8 and a strike-rate of 206.22. Finch might be relieved coming out of UAE and will be eager to score a big one and gain back the confidence. He and the South African skipper Faf du Plessis will be front-runners for a multiplier option. Given the pitch is expected to be a batting paradise, picking Chris Lynn as a captain wouldn’t be a bad idea. Among the bowlers, Andrew Tye and Lungi Ngidi can be made vice-captain due to their wicket-taking ability in this format. Chris Morris can also be a handy pick for a multiplier option due to his all-round skills. Aiden Markram hasn’t made a big impact in the T20 format as compared to his team-mates. If he misses out from the playing XI should not be a surprise. Australia will be confused with regards to the selection of Jason Behrendorff. The left-arm pacer might not find a place in the XI due to an already settled attack. Get the latest Cricket News and updates from Australia vs South Africa series, Match Predictions, Fantasy Cricket Tips and lots more on CricTracker.com.